VitawinAyurvedaprovides Digestives and laxativesproductslike Hassh, Easy Go, Babul chhal anayurvedic digestivecapsulesto improvedigestivesystem. Constipation is the chief cause of many diseases, and such a condition produces toxins. These toxins find their way into the blood stream and are carried to all parts of the body. This results in weaning of the vital organs and lowering of the resistance of the entire system. Appendicitis, Rheumatism, Arthritis, High blood pressure and cataract are only a few of the diseases in which chronic constipation is an important predisposing factor. TrifalaTriphala or “three fruits” is a unique combination of three wonderful herbs or fruits. . All these herbs have achieved their respective therapeutic recognitions among numerous ayurvedic physicians around the world.It is a safe laxative which rejuvenates intestines, tissues and cells of the body. It is a balanced formula for all body types. 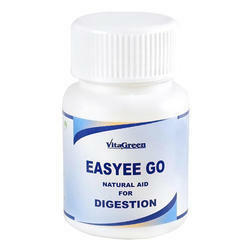 Gentle yet effective herbs clear and cleanse the digestive system. It works by toning and strengthening the gastrointestinal tract. Chronic constipation Ulcers ,heartburn ,Bleeding piles. fewer than three bowel movements per week. It acts as laxative and primarily used for the treatment of constipation. Ensures relief from chronic constipation. Relief from Ulcers ,heartburn ,Bleeding piles. Restores natural tone of colon. It maintains regular bowel movement and ensures smooth excretion. Helps removes toxins form body.